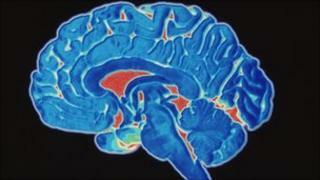 A good working memory could be the secret to a happy and successful life, new research has suggested. Scientists at the University of Stirling have found people with a good working memory are more likely to be optimistic and self-assured. Those whose working memory was poor were more likely to "brood" and scored higher in tests of pessimism. Working memory is the ability to remember and process information at the same time. It is employed when a person is asked to count back two digits from a number and provide the answer without hesitation. The research suggested that individuals with good working memories tend to have better jobs and relationships. Dr Tracy Alloway, who led research at the University of Stirling, wanted to see if it also had a bearing on happiness. She carried out a study of 1,200 people aged from their late teens to their sixties who were given a series of psychological tests and questionnaires. She said: "We found that people who have a high working memory tend to be more optimistic, more hopeful about life, more confident that they can cope with problems and adjust to situations." "People with a poor working memory tended to be more brooding and to spend more time fixated on problems when they arose in their life." She added that brooding was linked to depression. Dr Alloway was speaking at the British Science Festival at Aston University in Birmingham. She described working memory as the brain's "Post-it note". She said: "With working memory you're taking new information, integrating it with the facts you know, and then moving forward." The average adult can remember and work with five bits of information simultaneously, whereas a five-year-old can cope with only two. The research showed that contrary to what might be expected, the working memory of people in their sixties was as good as that of teenagers. Dr Alloway added that working memory allowed people to adapt to new situations more quickly. She said: "I think the key issue is the idea of cognitive flexibility."